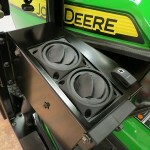 If you’re riding the green and gold, you’re serious about quality in your compact utility tractor. So are we. 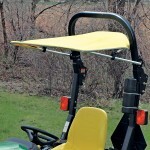 Our John Deere cabs, sunshades, and bimini shades keep you safe and protected in most any weather. 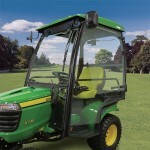 Our cab accessories (glass doors, heaters, lights, wipers, warning beacons and more!) are designed and built to work as hard as you do, and keep providing comfort and protection all day long. They mount easily and fit right.